Liko Lehua Cafe at Pauahi has been open for some time now but I haven’t had the chance to eat there. Since one of my girlfriends just recently celebrated a birthday, we decided to go there for dinner. Good thing we had reservations because the restaurant was pretty full when we got there at 6 p.m. The restaurant has inside and outside seating and thankfully, we were seated inside so we could enjoy the air conditioning. The servers were friendly and accommodating. I researched the restaurant on Yelp before getting there so I would have an idea about what to order. I love kale salad and noticed that their kale salad is served with a salmon. (One of my girlfriends ordered the kale salad with salmon. The serving of salmon was very generous. My friend is not as big an eater as I am and she took home half of her salad and half of the salmon.) I also saw that they have crab cakes and really wanted that too. I asked the server if I could substitute the crab cake for the salmon and she checked with the kitchen and she came back and said it was no problem at all! Yay! 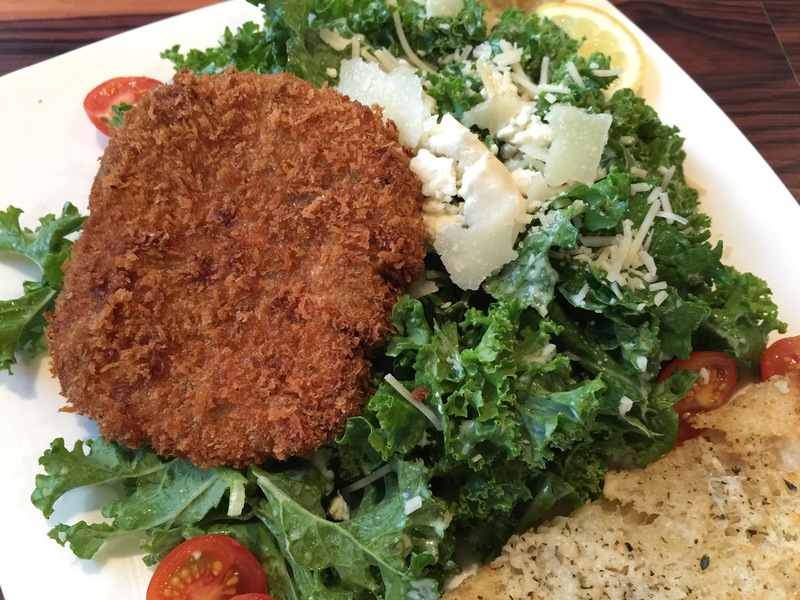 I enjoyed the kale salad and crispy crab cake and ate the whole plate. I would order this dish again if I came back. Since we were celebrating a birthday, we ordered a dessert to share. 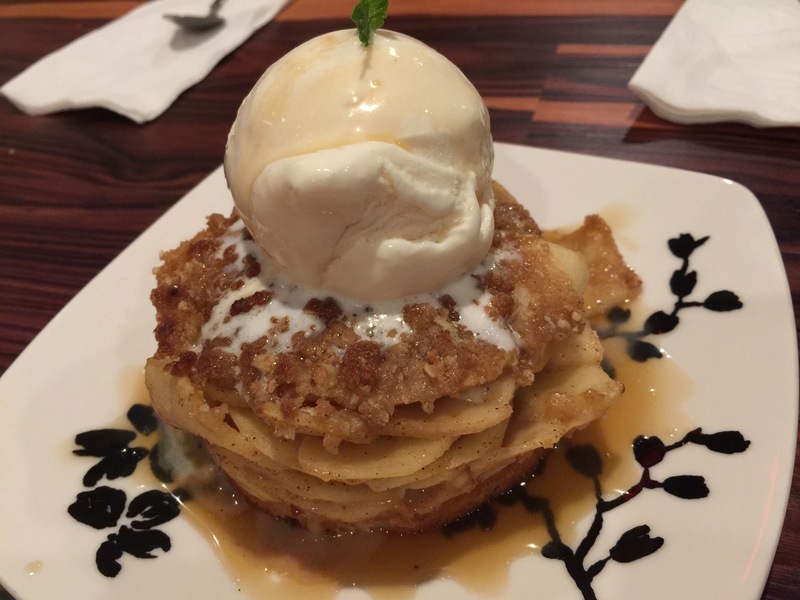 We shared the apple crisp a la mode and it hit the spot. We are so sad that we forgot to get a picture of us. We just have to make sure to go out again soon and create another opportunity for a photo.